There are currently no news or offers. Do you have a problem or is something bothering you? Below we have a range of Treatments & Outcomes along with their images. Click on any of the treatments within the legend on the right to jump to that section. The St Peter's Dental Practice offers an affordable, permanent solution to missing teeth, restoring your smile with dental implants. 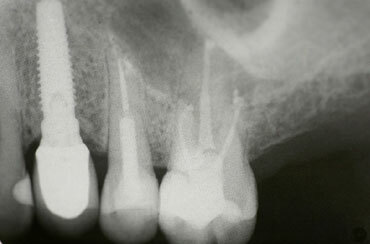 A dental implant is essentially a substitute for a natural root and commonly it is screw or cylinder shaped. Crowns, bridges and dentures can all be attached to dental implant to give the most natural, secure and long term solution for the replacement for missing teeth. There are clear benefits to dental implant treatment: dental implants restorations resemble your natural teeth more closely than removable full or partial dentures, providing a solid, 'permanent' solution to missing or damaged teeth. 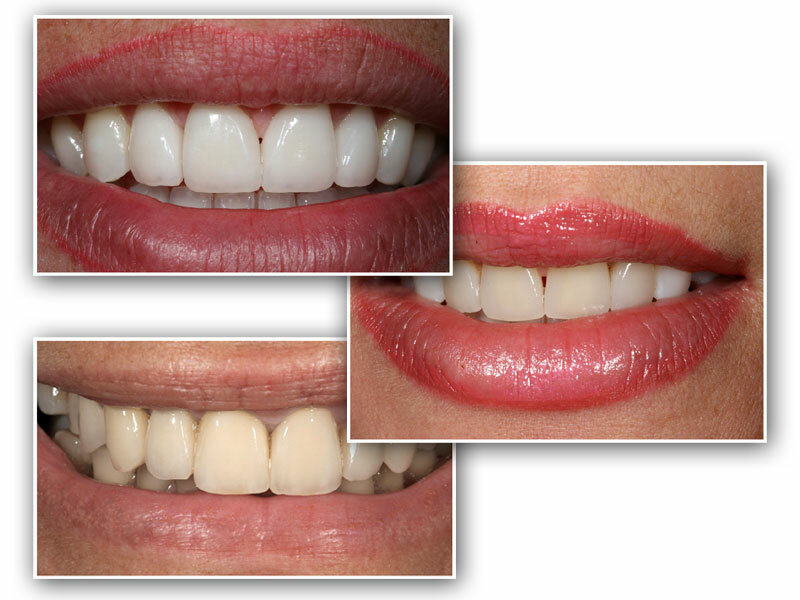 In addition to restoring chewing and speech, the aesthetic result is often much improved. Overall, our dental implant patients are left feeling more confident, with an improved quality of life. "Dr Gordon makes my dental experience painless and comfortable and I am utterly thrilled at the end result of a restored healthy mouth. My confidence has soared and I can smile again! I would have no hesitation in recommending Dr Gordons practice to any of my friends and my family." One of the simplest, quickest and most effective ways to improve the appearance of your smile is with teeth whitening treatment. In fact teeth whitening can do far more than revitalise your smile - it can revitalise your self-image and the impression that you make on others. 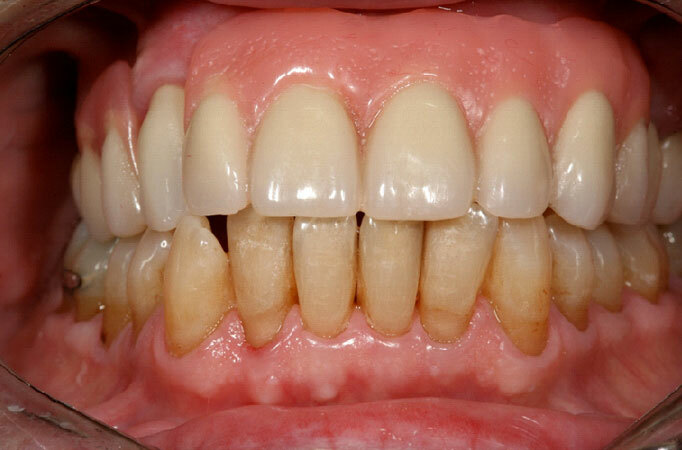 "My journey started in May 2013, it had become very apparent that my dental condition required some serious work. My first visit proved to be a very pleasant experience, I was made to feel completely at ease by the relaxed and friendly atmosphere." 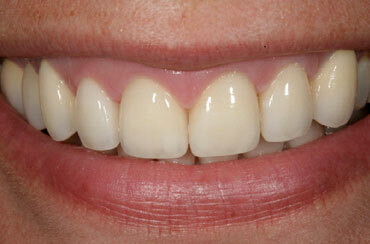 Veneers are thin sheets of laminate porcelain intended to look like the surface of natural teeth. They are applied to the front teeth surfaces in a similar way to false nails. This creates a flawless smile. The treatment has become popular in recent years as a result of celebrity endorsements and the growing popularity of Hollywood smiles. "I should like to place on record my appreciation of the dental work carried out by Dr. Shane Gordon. He is very thorough in explaining what work needs to be carried out and why, and I feel very confident in his work which has kept me smiling for several years now." 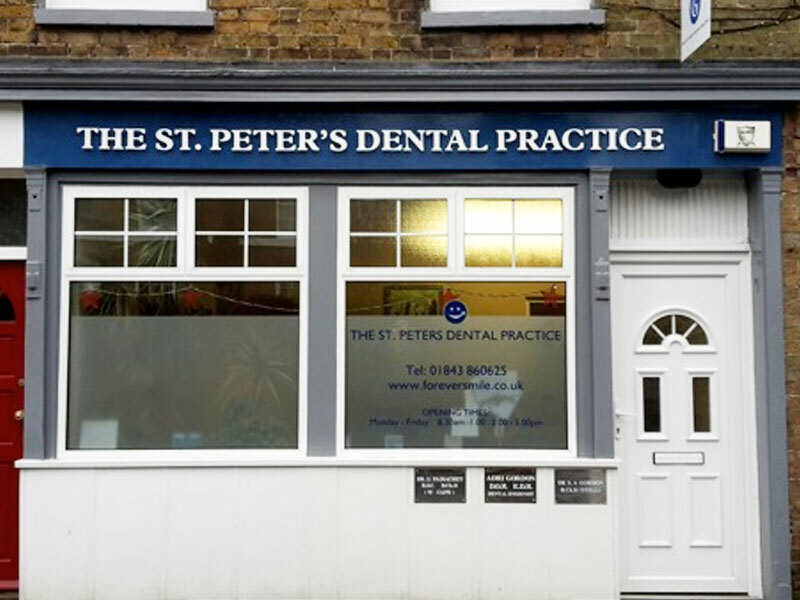 "I came to St Peters Dental Practice via recommendation; my visits have been relaxed and welcoming. Staff are all very professional and all treatment was explained with options given. I have been very happy with the treatment received, it has been to a high standard and I haven't had any problems post treatment." 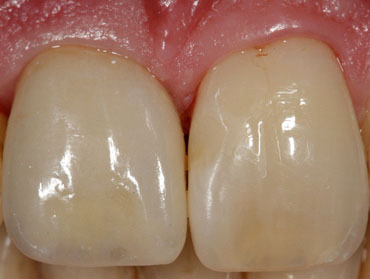 Bridge the gap created by one or more missing teeth When a tooth is lost a space is left which can be unsightly, can cause difficulty in chewing or can result in movement of the adjacent teeth. There are many options for filling spaces including implant and dentures, but the most popular is the dental bridge. If you have lost one or two teeth but would rather not wear a denture and are not read for or suitable to have a dental implant, you may want to opt for a bridge. 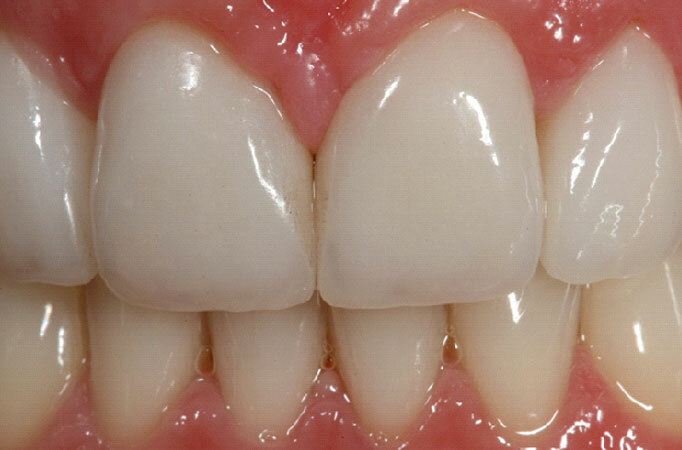 Bridges are a series of crowns joined together to close a space left by the loss of a tooth. 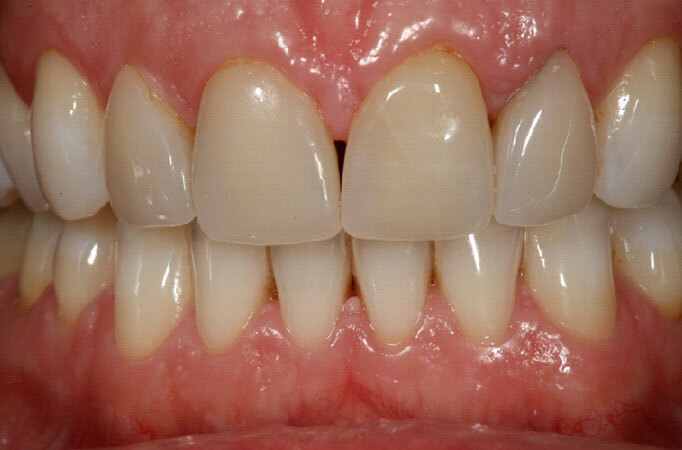 They are permanent and once bonded into place will look and feel similar to natural teeth. "I knew of Dr Gordon because he had given me dental treatment decades ago when he was working under the NHS, but I had never had actual private treatment before I came to Dr Gordon last spring. I knew that Dr Gordon was a good dentist so I went to him. Right from the start, I was aware of a welcoming, friendly atmosphere." 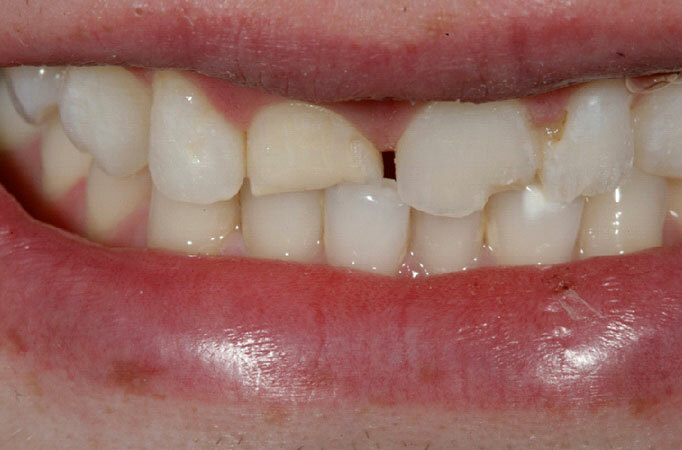 Tooth coloured fillings closely match the natural colour of your teeth and are a wonderful way to enhance your smile. 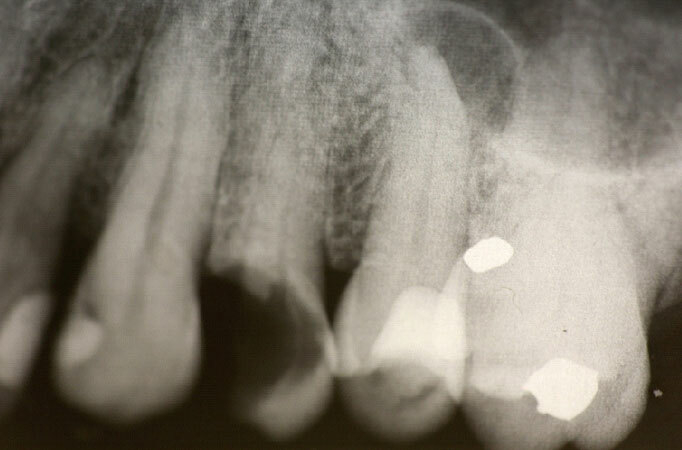 Old silver fillings containing mercury can be replaced with modern materials. Using the correct choice of material and technique reliable and long lasting results can be achieved. If you dream of being able to throw your head back and smile and laugh with confidence, then virtually invisible tooth-coloured fillings are the way forward. It takes some creative flair to match your teeth precisely but that's just what we do at The St Peter's Dental Practice. 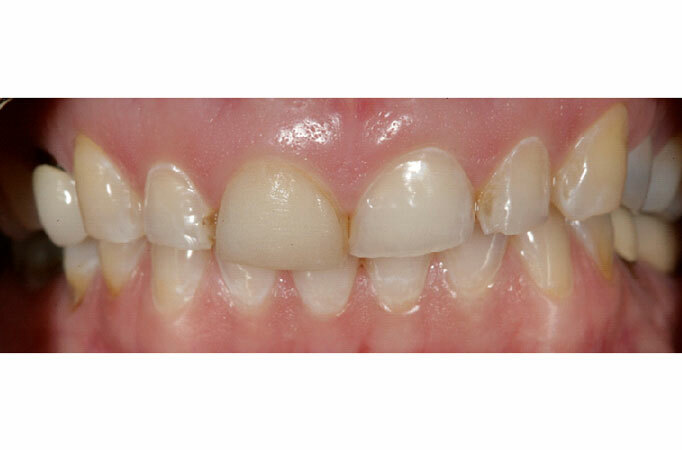 We use the most effective, modern, durable tooth-coloured materials. Unlike the more traditional grey amalgam fillings, the tooth-coloured ones look very natural, so no one will be able to tell you have them, leaving you with a lovely smile of which you can be proud. To find out more about natural fillings please give our friendly team a call at The St Peter's Dental Practice on 01843 860625. We offer a full range of orthodontic treatments including invisible braces called Smile TRU. We focus on treatment that does not involve tooth extractions although in a small percentage of cases extractions may be necessary and indeed desirable. We can often start treatment at an early age, which interceots problems, which would later require complex orthodontic intervention. Treatment start with a complete diagnosis of the problems. A comprehensive treatment plan is formulated and the treatment started. Treatment can take 3-36 months depending on what is required and the desired result. Treating front teeth alone takes less time than treating the whole dentition. 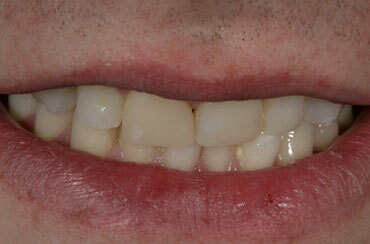 Treatment can involve removable as well as fixed braces or invisible braces or sometimes a combination of these options. Dr Gordon made a preliminary assessment of my dental condition which was followed up with a full and proper assessment on my agreement. Subsequently a full treatment plan was prepared which gave me various options to suit not only my fanances but the amount of treatment I would feel comfortable with. Enjoy comfortable, natural-looking dentures from The St Peter's Dental Practice. Dentures are removable replacements for your missing teeth, designed to look like your own natural teeth and surrounding gum tissues. They are generally made from an ultramodern acrylic material which is high-strength and durable. If you look after the dentures then this material is unlikely to staining or darken and will remain fresh and natural looking for many years. The fact that we provide comfortable, natural-looking dentures is a real benefit to those people who no longer possess their natural teeth but for whom socialising and showing a confident smile is very important. If you have several missing teeth, possibly from some time ago, then you will benefit from having dentures as they will provide support for your cheeks and lips. 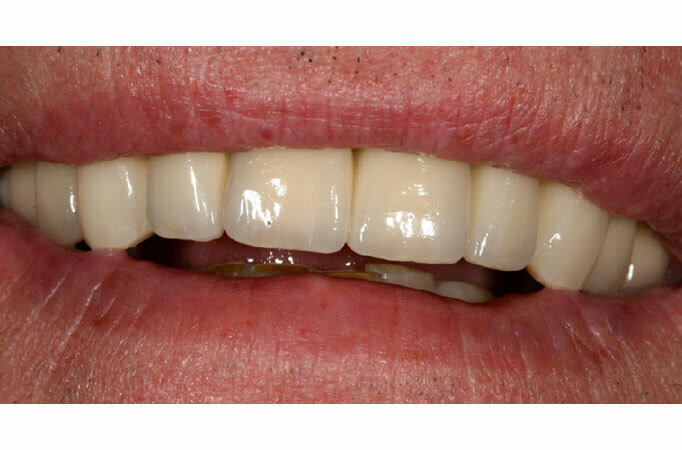 When we design your dentures this way it can reduce the amount of lines and wrinkles around your face, this has the result of making a more youthful look and can literally take years off you. 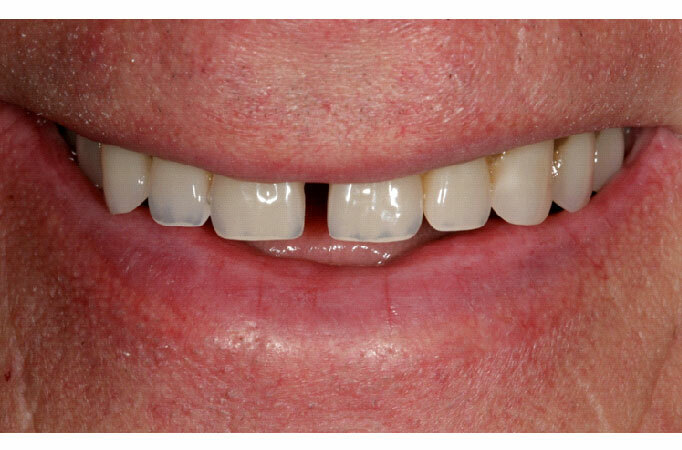 This can be achieved with a properly planned denture from The St Peter's Dental Practice. 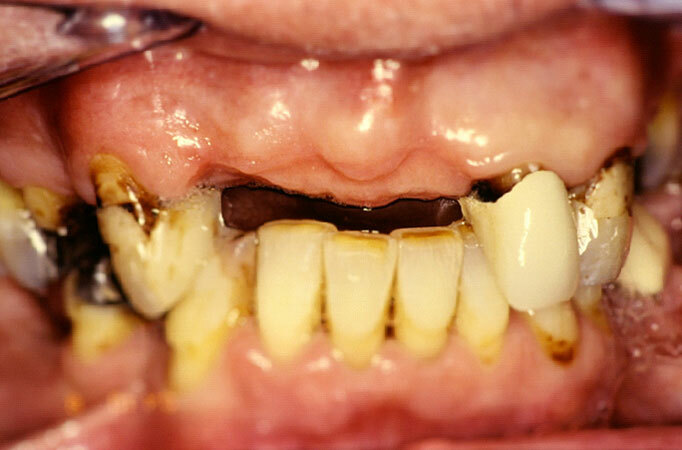 Periodontics is the treatment and maintenance of gums affected by gum disease. Gum disease, or more correctly, 'periodontal' disease, causes loss of the healthy attachment of the tooth to the gum and jaw bone. "Dr Gordon's initial consultation highlighted the problems with all my teeth and we planned a comprehensive programme of treatment. The nurses and staff are always professional and caring, after some of my larger treatments I was called to ensure that I was ok, comfortable or needing anything." 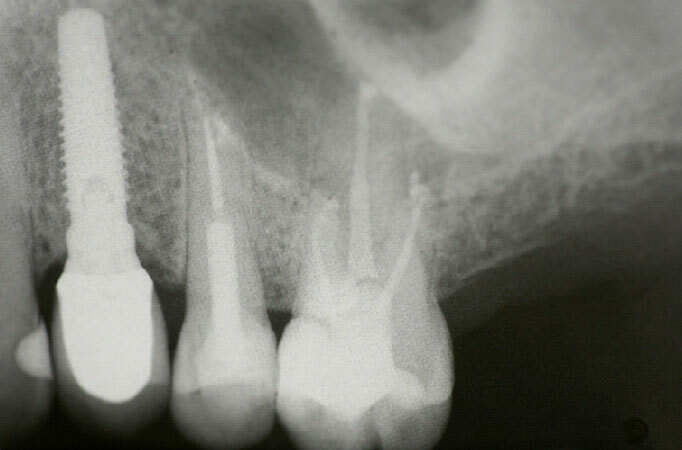 Root canal (endodontic) treatment is a dental procedure, which is aimed at removing the inflamed and/or infected pulp tissue from within the core of the tooth. This allows us to save badly damaged and decayed teeth. 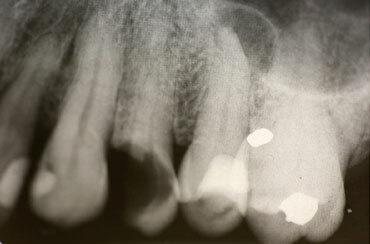 Critical to the long term success of root filled teeth is having adequate tooth structure present above the gum after root filling. Root filled teeth are weak and require crowns to restore them and reduce the risk of future breakage thus improving their prognosis and ensuring long term success. "Staff are all very professional and all treatment was explained with options given. I have been very happy with the treatment received, it has been to a high standard and I haven't had any problems post treatment. I have recommended friends and family who now attend the practice and are all very happy." Snoring affects both women and men, old and young, little and large. It affects a significant percentage of the population in every country around the world. Research has shown that it only becomes worse as we get older. 30% of men and 20% of women under the age of 60 snore. Increasing to 60% and 40% over the age of 60. Snoring is essentially a mechanical problem. The airway at the rear of the throat behind the tongue becomes smaller in some people when they sleep. This is due to an increase in fatty tissue, the effect of gravity when lying on your back, the loss of muscle tone, the relaxation of the muscles, the lower jaw and tongue dropping back, or any mixture of all these reasons. The reduced airway means the air travels faster through the airway when we breath, this causes the relaxed soft tissues in the throat to vibrate which results in the snoring noise. 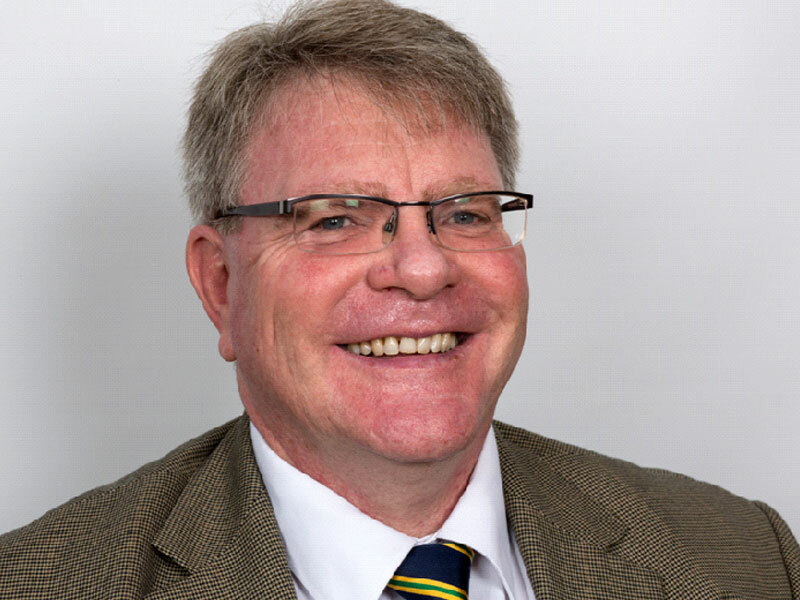 "I have found the staff and Dr Gordon professional and supportive to the level of having referred my daughter to them who had developed a fear of dentists due to a previous bad experience. I was given sufficient treatment options and every option was carefully explained." "I was given sufficient treatment options with the work that I needed. Dr Gordon helped me choose the right treatment for me by answering many questions, with great patience and detail. My sincere thanks to Shane, Adri, Jo, Gina, Rebecca, and anyone I my have missed." For additional information on the range of services we provide please contact us or call us on 01843 860 625.